A class about discovering the known history of magic learned from ancient texts and collected from the torran tribes around the world. Specifically the student will learn about the basics of the Rukh and the theory of the existence of Dungeons and its probable connection to Magi that was cited in ancient lore as mere legends. A History Professor sent out an offer to be an intern for his research team on the probable existence of Magi on present day. The students that would accept the job would receive a small reward and their task is to organize the reading materials, collate the data and transcribe the minutes of the meeting of researchers in the group. As an added benefit the student would have access to more obscure reading materials about the subject. He recalled the first time he ever read a book. He taught himself how to read through perseverance and patience. He learned to write through an equally painstakingly process. With a little refinement and corrections from others, he managed to become proficient in language. He also recalled the first time he heard of dungeons. The thought of power and riches and wealth fit for a king inside these colossal buildings astonished him. Could such an amazing thing truly exist? Everyone answered the curious magician with a firm ‘no’. He also explored other related topics, such as Magi, powerful magicians whose touch in the arts of magic seemed to extend that of an average magician. 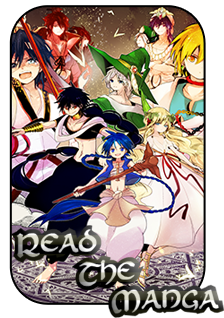 The Magi’s rukh source came from outside their bodies. It came from the rukh in the air! This to proved a concept most scoffed at. ‘Impossible!’ they all declared. He always disagreed. He remembered the first time he learned he among others disregarded the general opinions of the time. To realize others sought for the possibility of dungeons and Magis excited him greatly. A history professor offered an internship for his research crew. Ariel immediately applied because the crew worked to search for proof of dungeons and Magis. Dungeons definitely did not exist in today’s current time. But even so, the possibility still remained of Magis. And if they happened to find evidence of dungeons, Magis very well might exist. Such a discovery would shake the world! Even so, the last report of a dungeon existing - considered a fantasy for many - dated back centuries ago! If Magis truly did exist, why had they not rose a dungeon in centuries. So long everyone presumed them to be nothing more but myths? Could Magis just not exist in this particular era? At the time, he had been absolutely delighted when his application was accepted. He regretted it later on. If he had just kept to himself he would have never met the reason he cursed all of Magnostadt. He would have been blissfully innocent to the horror which resided in the academy for at least a few more years. But no, he had to walk out of from his wall. What good were walls if one just walked out from their protection? Exactly. They were useless. He seriously should have never applied for an internship. He saw many years of happiness and content ahead of him if he had just resisted the temptation! Well, not anymore. Obviously. He had been rather lost and turned around that day. At that point, he felt rather depressed. No doubt, he was going to be late. He felt a sense of panic rise. Late. He was going to be late. Nonononono! He couldn't be late. Late was bad. He had to find his way! He felt his control slipping like water. Something slimy filled his mind and began dragging him down. Pain-filled memories invaded his heart and mind. He heard choked sobs. A child trying not to cry. He shuttered at the cold stare that flashed through his eyes. He could feel air rushing in his air now. He was… falling!? No! Wait! He-! Something… white… beautiful… flashed. Darkness… black… it invaded his senses. Something comforting cut through the shadows. His sight returned soon after. He found himself on his knees. He felt something wet and he touched his cheek. Tears. He had been… crying. “Yeah. I'm fine. I'm just… lost,” he had mumbled. He didn't ask any questions or prod. He never did. He delivered him to the research team. At the time, he thought he would never see Schwartz around again. Oh he wish he had never seen Schwartz around again!